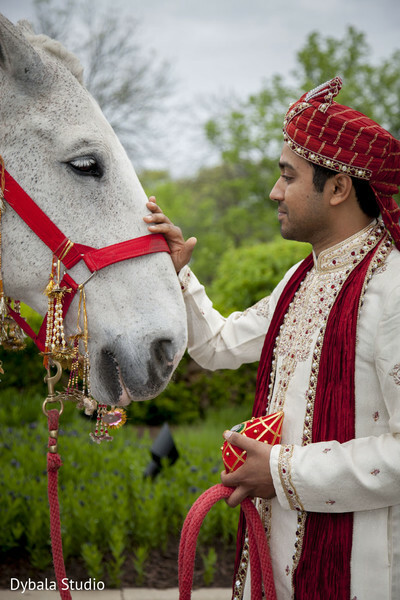 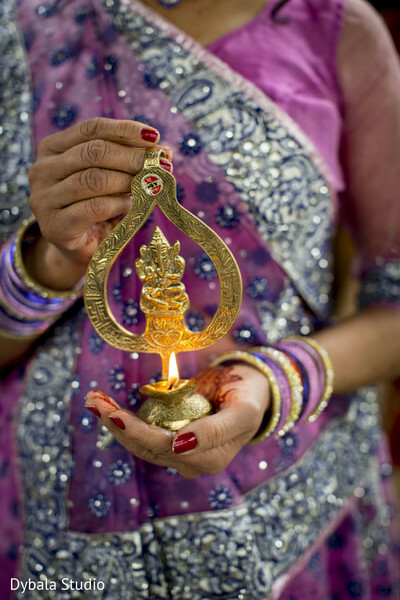 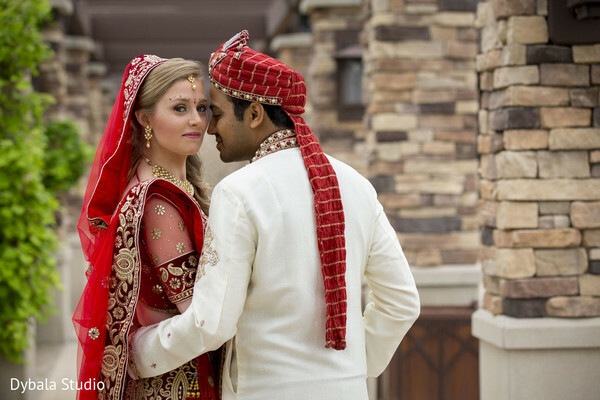 The gorgeous grounds of the Grand Geneva Resort & Spa, in Wisconsin, recently had the honor of hosting one of the most enchanting Indian fusion wedding celebrations they've ever seen, and lucky for us, they decided to share all the exclusive details from the amazing affair captured by the truly talented photographers from Dybala Studio today! 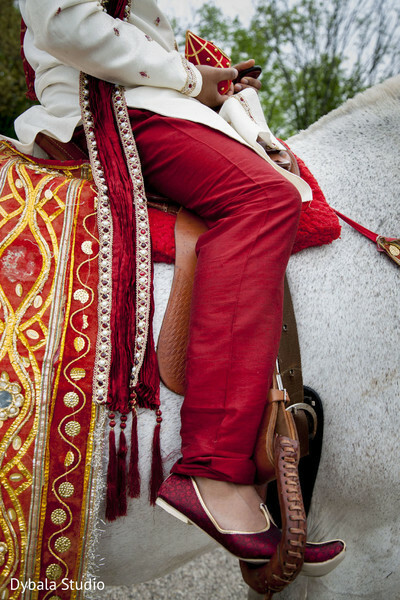 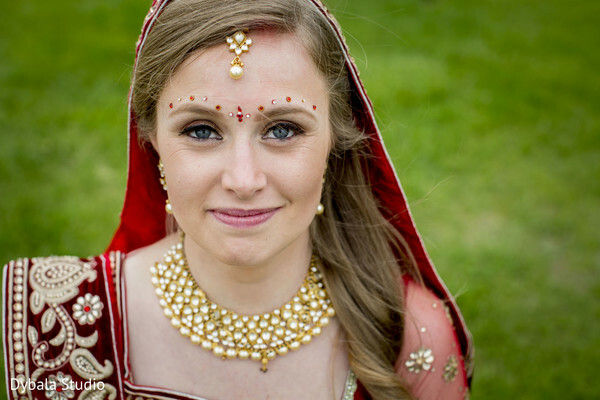 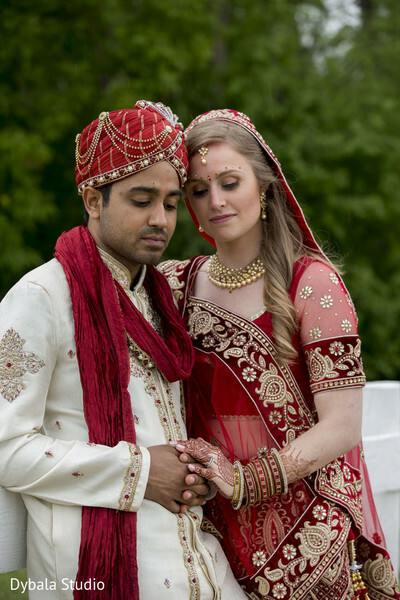 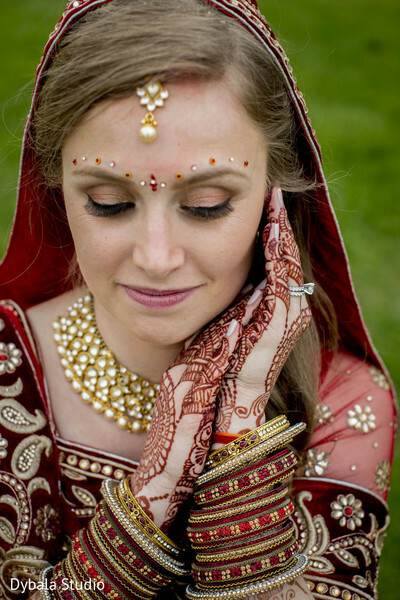 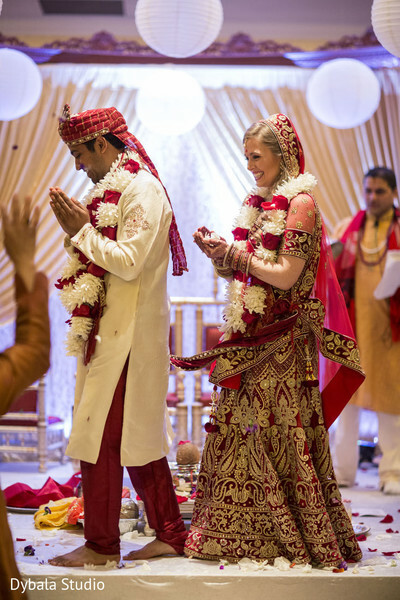 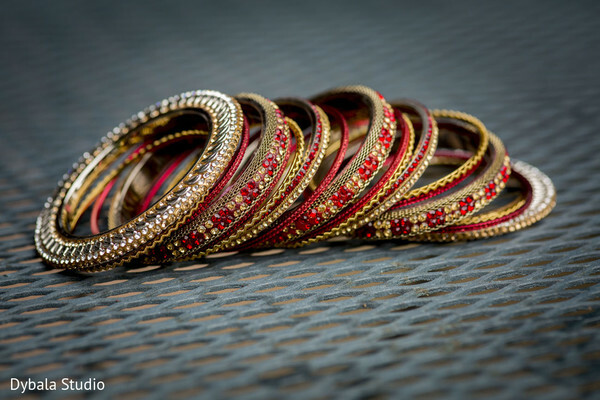 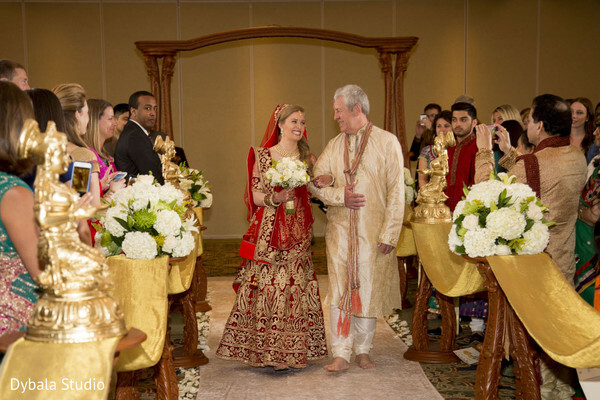 Blushing bride, Hailey, is showing off her stunning Maharani style in these portraits and first look photos from her and the Raja of her dreams, Pathik's, big day, and she's dazzling in her traditional red wedding lengha and stunning gold jewelry set. 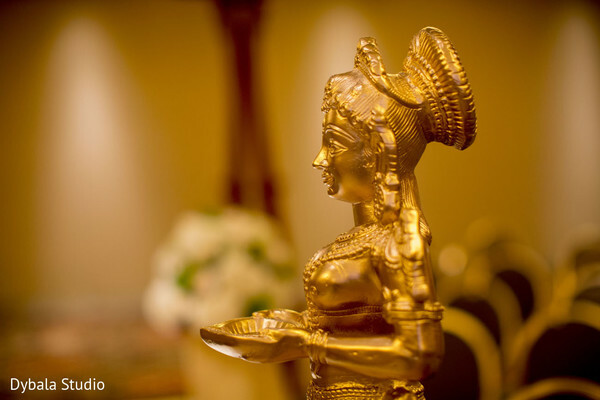 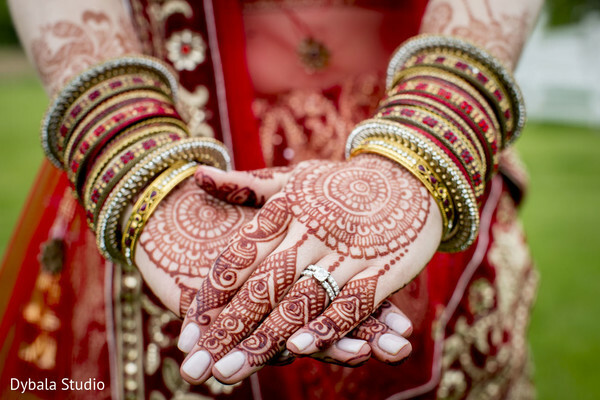 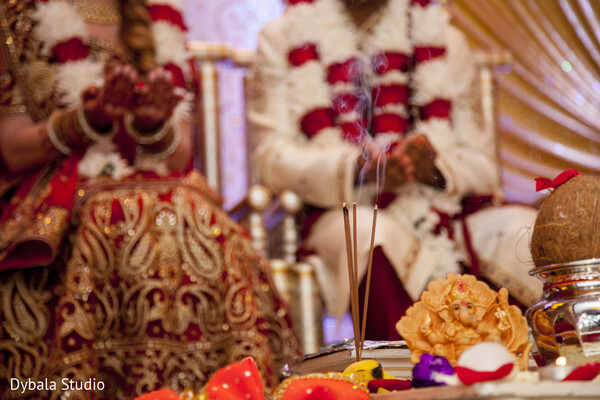 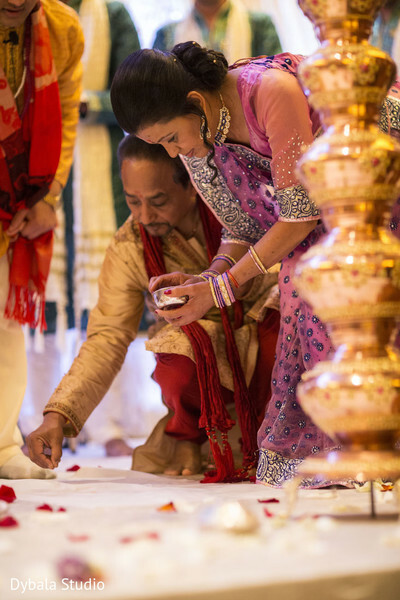 Unnati'Z Art has worked some skillful mehndi art on the bride of the hour, and Poonam Creations has decked out her and Pathik's ceremony space out in some seriously sensational Indian wedding decor! 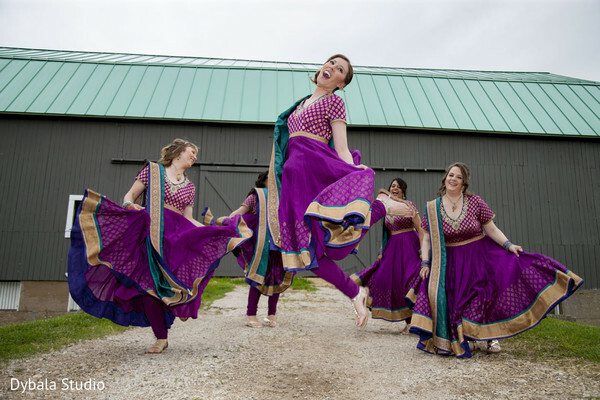 We can't get enough of Hailey's lovely bridal party and their violet anarkalis — and how about that action shot of the pretty bunch? 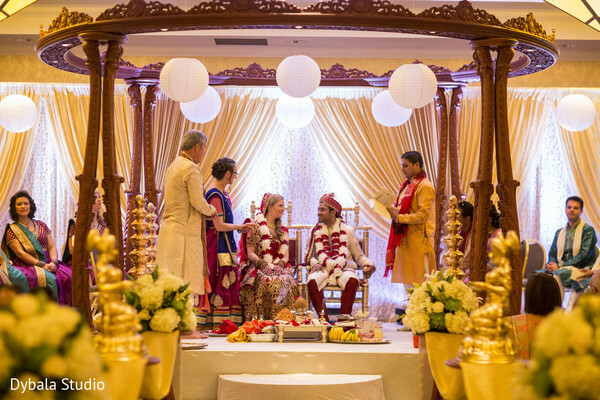 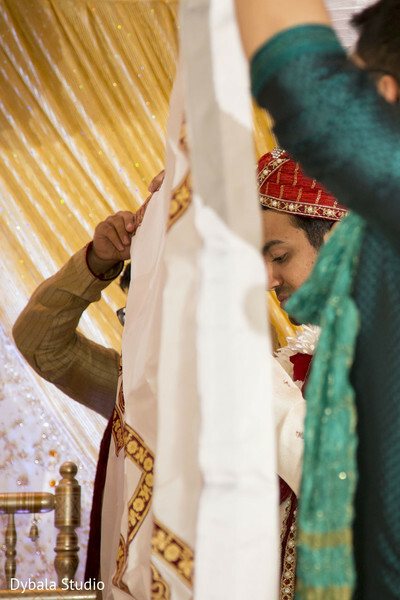 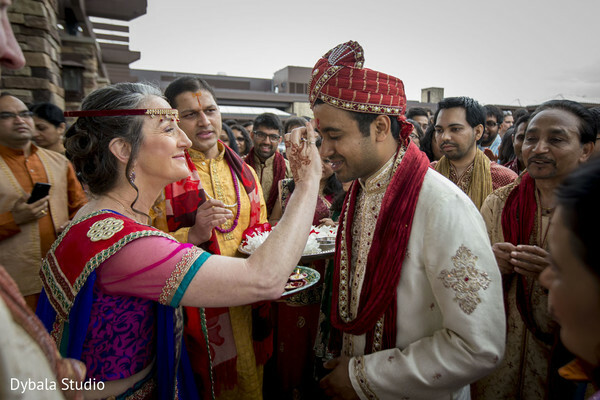 Events by C planned this extraordinary event, and you can see some of the sensational ceremony highlights below, plus much more in the complete gallery! 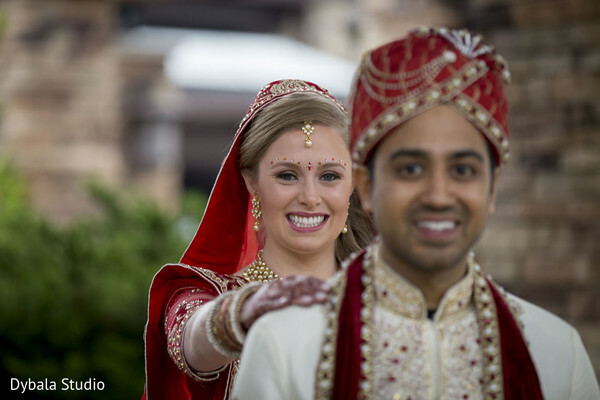 We'll be diving right into Hailey and Pathik's reception when I get back!